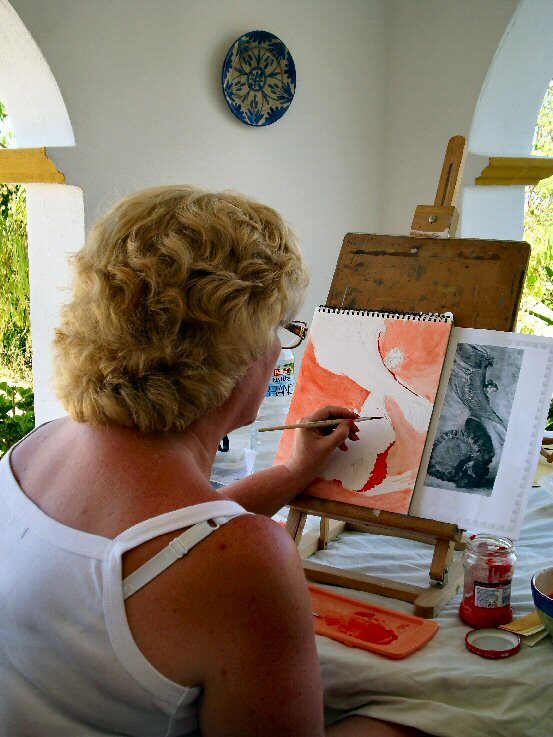 Spend a day in Nalini's studio or outside painting in acrylic and oil paint. Beginners are welcome. 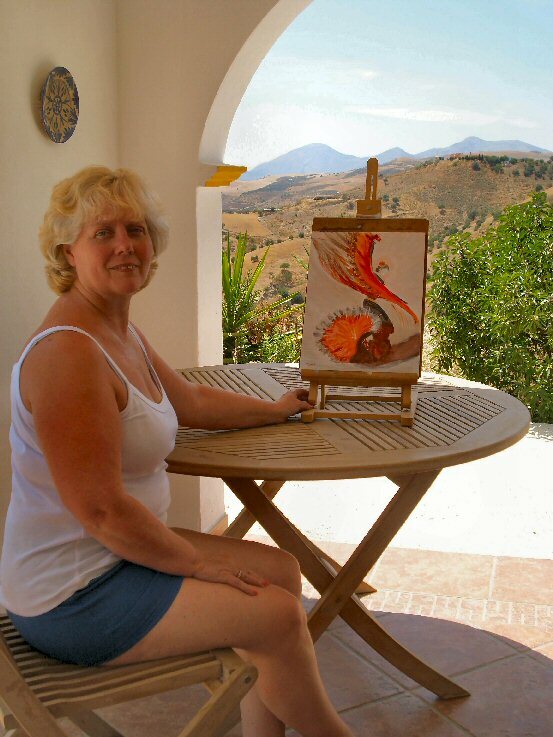 A guest staying in Casa Sofia, painting on Nalini's studio terrace. She is painting with acrylic for the first time! I took one of Nalini’s art classes (that’s me on the web page) I had never painted before but with Nalini’s expert tuition (and patience) I was amazed to take home a great painting. What a wonderful day.